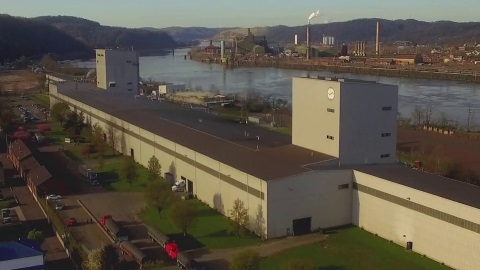 Established in 1986, Wheeling-Nisshin, Inc. began as an international joint venture between Nisshin Steel Co., Ltd. of Japan, a leading Japanese integrated steelmaker specializing in coated and stainless steel, and Wheeling Pittsburgh Steel Corporation, one of the leading American steel mills. In March of 2008, Nisshin Steel acquired all outstanding shares formerly held by Wheeling Pittsburgh Steel Corporation. As an independent steel coating company, NS Wheeling-Nisshin now enjoys the benefit of ties to one of the world leaders in coating technology and innovation while serving our customers with the best possible coated steel products to meet your needs. The expectations of the US domestic coated flat steel market is ever increasing demands for better product performance. NS Wheeling-Nisshin accepts this challenge as your value added corrosion resistance sheet steel supplier. To find out more about NS Wheeling-Nisshin's parent company, click on the Nisshin Steel logo to visit the official web site of Nippon Steel Nisshin Co., Ltd.
On December 13, 1986, ground was broken in Follansbee, West Virginia, for the construction of our first hot-dip coating line - the Aluminizing and Galvanizing Line or AGL. By April 1988, Wheeling-Nisshin commenced operation of the AGL - the first fully computerized, state-of-the-art steel-coating facility in the United States. In March of 1993 the Continuous Galvanizing Line or CGL was completed. The CGL provided an even more advanced coating line, added Galvalume® to the product offering, and extended Wheeling-Nisshin's production capacity to 700,000 tons per year - with the AGL at 400,000 tons and the CGL at 300,000 tons. The CGL is the nation's first high speed, hot-dip line specializing in light-gauge (tin plate thickness) coated products. In October 2012, the ZAM® project was launched. 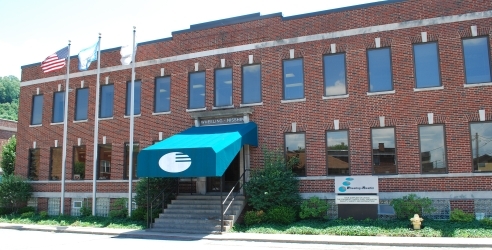 This $28 million investment was completed one year later. NS Wheeling-Nisshin is now the first zinc, aluminum, magnesium (Zn-Al-Mg) alloy producer in the United States - and the only steel producer in North America to produce all five major hot-dip coated products. Our products are used for a variety of applications such as automotive, appliance, building, and construction.